This time of year, with the Fourth of July having just passed, wealth management professionals often talk about financial independence—reducing debt, saving more and investing smarter. The idea is we want our clients to have thriving financial futures. We want them to feel empowered to grow their wealth. However, according to a recent Key Private Bank advisors poll, one thing we don’t spend enough time talking about and prioritizing is preserving wealth, particularly when it comes to navigating the unexpected post-retirement. The average American man can expect to live until age 84. The American women can expect to live, on average, until age 86. The Social Security Administration is quick to point out that these are just averages. One out of every four 65-year olds today will live past age 90, and one out of 10 will live past age 95. It’s no surprise then to learn that since 1980 the global population has doubled. Or that by 2050 it is expected to double again, to more than 2 billion people. Yet we’re still not talking about long-term care. In fact, fewer than 25 percent of private bank clients have a long-term care plan in place despite the fact that 70 percent of those over age 65 will have a need for it. Also, when surveyed, people have a very strong preference for their long-term care needs. Nearly all—96 percent—would prefer to stay at home and remain independent. The good news is that most advisors believe the majority of their clients who wish to remain at home for long-term care are likely able to so…with planning. Long-term care is a bit like estate and succession planning. No one likes to talk about our own mortality or becoming incapacitated, but taking the necessary steps now can help you navigate future health challenges and preserve wealth. If you’re not sure where to start, here’s a checklist of long-term care planning topics you can use with your family and advisor. Understand long-term care. There is more to long-term care than the cost of living. Long-term care refers to any resources that support and aid a person’s physical and emotional needs over a short or long period of time. These services help people enjoy a better quality of life when they can no longer perform everyday functions on their own. Also, avoiding long-term care conversations can be costly. Define your needs. For starters, work with an advisor to identify the events that may trigger the need for long-term care. Then determine your life preferences for that period of time. Keep in mind that each option—in-home care, co-habitation with a relative, assisted living facility—all have varying price points. For example, the median annual cost of a home health aide is $49,192. The median annual cost of a private room in an assisted living facility is $97,455. Make your wishes clear to your family. Determine roles and address the need for a caregiver. Your family members can play supportive roles in your long-term care. Have a family conversation about the simple—filling prescriptions—to the complex—healthcare decisions. Should you desire that a family member be your caregiver, consider the financial and emotional complexities of doing so, as it can present challenges to their own wealth, health and stress. The important thing is that everyone should be aware of your expectations and desires. Prioritize your health. There is no substitute for being active. Healthcare costs are on the rise, the future of healthcare is uncertain and, often, Medicare may not be enough. By being physically active, you will reduce your risk of heart disease, prevent osteoporosis, improve sleep and remain more mentally acute. All of these can help reduce your needs for long-term care and the costs associated with it. Develop your legacy and estate plan. As a complement to your long-term care plan, consider preparing for your family’s financial future through legacy and estate planning. From wills, trusts and deeds, to bank accounts, retirement plans and tax information, legacy and estate planning helps guide your family through your long-term care and protect family finances in the event of diminished capacity. There are portions of your long-term care plan and legacy and estate plan that overlap, such as financial and healthcare power of attorney. Update your plan. Nearly half of advisors say you should start preparing for long-term care costs between the ages of 40 and 50. And once you start, don’t stop. Long-term care planning should be ongoing—and change as your life changes. Create regular touch points with your advisor and family to keep everyone up-to-date with your plan and desires. For more information about long-term care planning, talk with a financial advisor. Sufficient and effective long-term care cannot be accomplished by guessing—it requires a thoughtful approach. An advisor can guide you through this process, helping you take the necessary planning steps today so that you and your family can preserve wealth tomorrow. 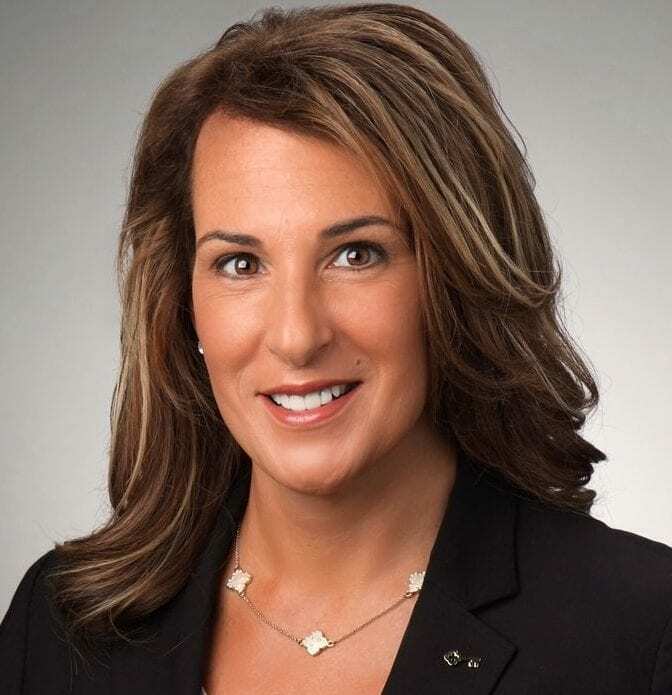 About the author: Lisa Clifford is a Certified Private Wealth Advisor and senior vice president for Key Private Bank in the Capital Region. She may be reached at 518-257-8748 or lisa_m_clifford@keybank.com. By 2027, the median annual cost of a home health aide is expected to grow to $66,110, and the median price of a private room in a nursing home will be $130,971 per year, according to Genworth Financial. Regardless of living preferences, and most prefer to stay at home, planning is critical to meeting the costs of long-term care while preserving family finances. Start planning early. 52 percent of advisors say convincing clients to plan in advance for long-term care is the most complex component of planning. Consider working with an advisor to determine what you can do now to plan for the long term. Communicate your wishes. 55 percent of advisors say only some clients are communicating long-term care plans with their families, and 22 percent say hardly any are doing so. Establish a family financial conversation to discuss your long-term care plans and wishes. And know this: avoiding the long-term care conversation can be costly. Consider the costs. 72 percent of advisors say the best way to plan for long-term care cost is purchasing hybrid life insurance with long-term care riders, yet 55 percent of advisors say clients prefer to self-insure. Preserve your family wealth by taking steps now to plan for the costs of your long-term care. According to advisors, you should start preparing for long-term costs between the ages of 40 and 50. The reason most people do not is they are not convinced they have the need for a long-term care plan. They are also concerned about how investing in long-term care will affect other financial goals, such as retirement, children’s education, etc. For more resources on long-term care planning, contact your financial advisor.